The abortion debate polarizes culture. It is a sharp litmus test for many. Abortion is the banner issue of women’s right’s groups and feminist causes. The debate is loud but generally a useless exchange. There are a few very basic questions that should govern our discussion. Is there an objective, testable point at which life begins? Philosophers struggle with this question. Scientists struggle with this question too. Many in the pro-abortion camp argue that life begins late in gestation, perhaps as late as birth. 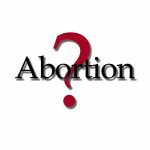 Some argue for late-term or even partial-birth abortions. These procedures are done well beyond the accepted dates of viability. Supporters of these procedures must affirm that life begins at birth and not before. Science seems unable to answer the question with any precision. Some say life begins at conception for that is the moment a new, unique being begins to exist. Others say life begins with spontaneous breathing but that requires actual birth. Others argue for a beating heart and still more suggest the presence of brain waves. There is no conclusive scientific evidence. Philosophically, we find little agreement either. Again, conception is suggested as the most reasonable point for the origin of life, but other thinkers have offered contrasting views. Biblically, God speaks of knowing a child while it is yet unborn (Jeremiah 1:5). The unborn child responds positively to the presence of the Lord nearby (Luke 1:41, 44 ). Life begins with God (Genesis 1:26, 27) and its coming and passing lies with Him. If we could all agree as to the moment life begins, the larger question of abortion might be easier to deduce. But for now, we are left with uncertainty. It would seem, that since we do not know, we ought to err on the side of the unborn. Is One Life Superior to Another? Shall a pregnancy be terminated for the convenience of the mother? “I’m just not ready to be a parent” or “I can’t afford to have a child” are reasons often heard. This suggests the child must give way to the mother. Her convenience is more important than the child’s life. It is a harsh but accurate description. There are also discussions over the place of women. Most recently, many women have challenged the status quo by publicly challenging powerful men who view women as objects to be treated with contempt. Despite their piggish behavior, I suspect they would still say that a woman’s life is not inferior to theirs. Among the horrors of the Nazi’s were the ideas that some people were inferior. Those ideas were not unique to Germany but found fertile ground among many Americans including U.S. President Woodrow Wilson and famed activist Margaret Sanger. Fortunately, such radical ideas were rejected by the populace. This country holds that all are equal, and none are superior to others. We have enshrined this thought in our Constitution, we have fought horrible wars to settle the question, and we have rescued those deemed unworthy of life by other nations. I doubt many would dare to argue that one person is superior to another. Reasonable people can disagree on the moment life begins. However, we should accept the uncertainty inherent in our positions. So given that uncertainty, why can we not agree that we should protect all life? Thank you for reading my thoughts. Please join the discussion below. Next post: See How He Loved Him!